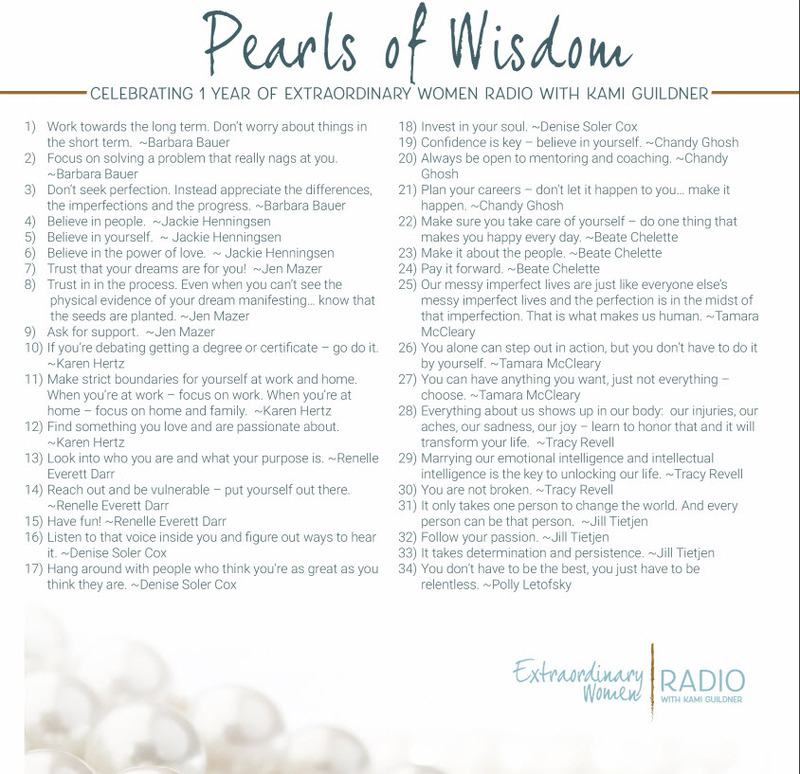 Here are your Extraordinary Women Radio Pearls of Wisdom! Click here to access all 129 pearls from the 43 Extraordinary Women Radio Guests in the first year! Extraordinary Women Radio is about wildly successful women living out loud… in voice, vitality and vigor. Today we celebrate the one year anniversary of Extraordinary Women Radio! In each episode, I have asked our guests to share three pearls of wisdom. Their responses have been profound, thought provoking and offer foundational principles that can truly shape our lives, if only we apply them. This week, my team compiled these Pearls of Wisdom into a single document. That is 129 pearls of wisdom gathered from some very extraordinary women. You will want to grab this one. It’s something that you’ll be able to turn to again and again. Want a sneak peak of 43 of the 129 pearls? Watch this video! 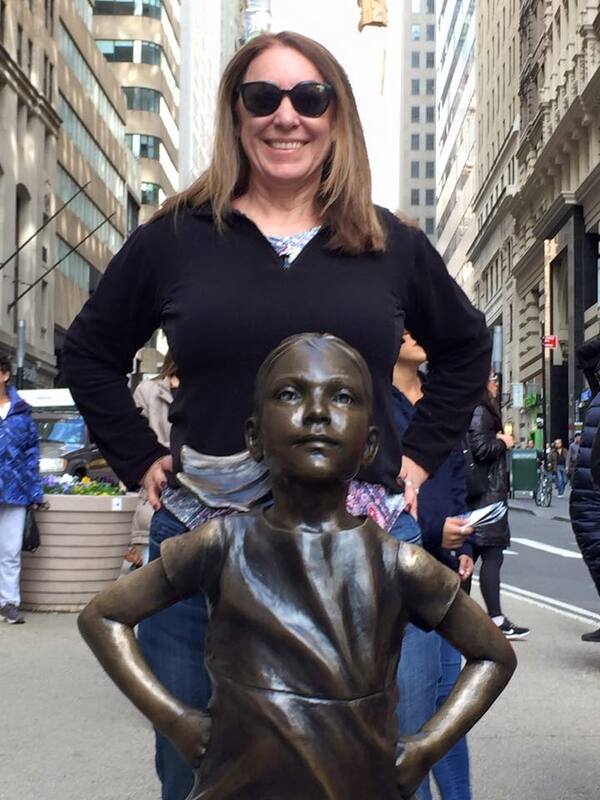 Extraordinary Women Radio : Hi – I am your host, Kami Guildner. Women are being called to lead with voice, vitality and vigor. Each week, join me for wisdom-filled interviews with extraordinary women living out loud and making a difference in our world. Their stories will uplift, inspire and spark your own purpose-driven journey!